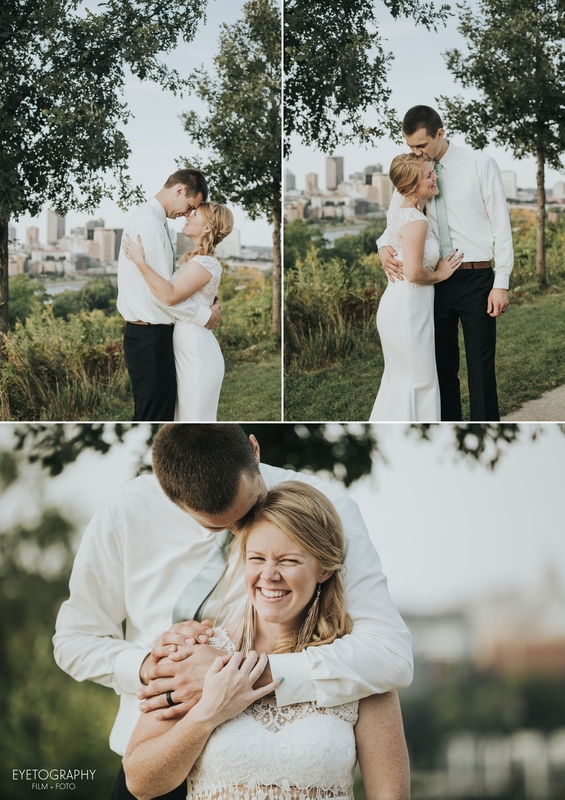 Ethan and Angie found a beautiful place to get married: the Dodge Nature Center in West St. Paul. 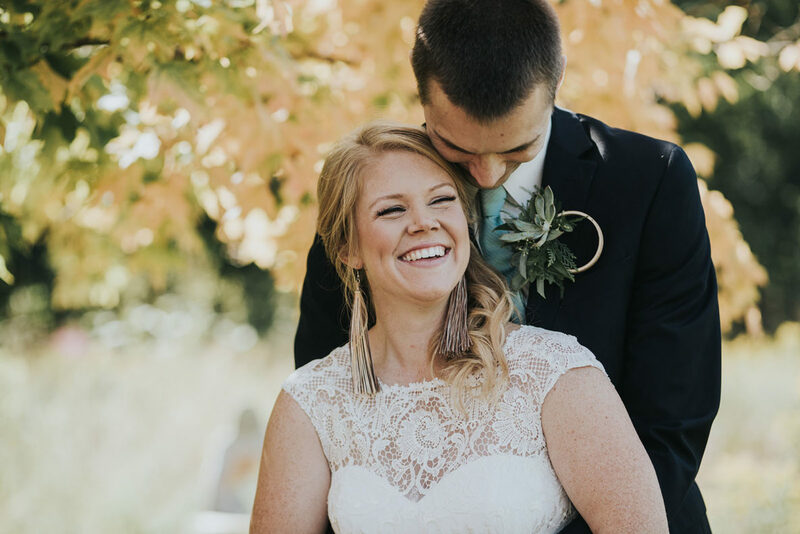 We learned that the center is on more than 460 acres of land and has 8 miles of hiking trails, some of which we explored with the bridal party, and one of which was the location for Ethan and Angie’s first look. 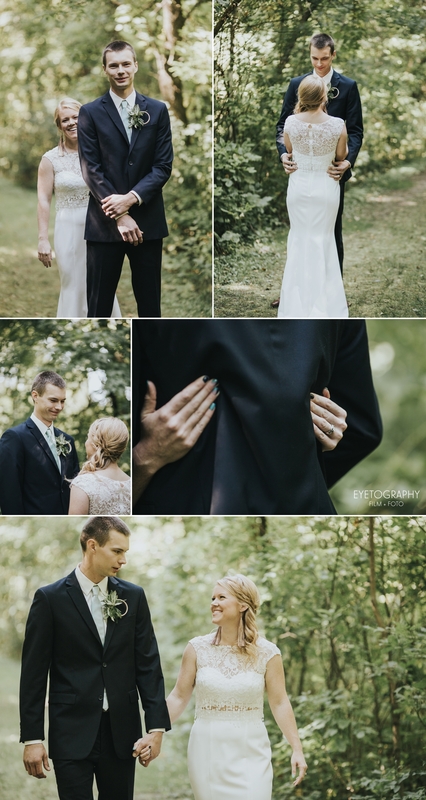 It was actually very close to the little schoolhouse where they got ready, and where the bridal party and family were gathered, but the trail, and really all the surrounding area, felt completely secluded by the dense trees. The ceremony was on the edge of a field. Everyone held it together until Angie started to come down the aisle. She said it was the music; it gets her every time, and as soon as she started to cry I heard sniffles from several different directions continuing until the applause at Ethan and Angie’s first kiss as a married couple! Ethan and Angie, it was a beautiful day all around and we were so honored to share it with you, congratulations! Your wedding pictures are amazing! So glad I could come and help celebrate your special day.